I have these fabulous friends who always have loads of fresh fruits and veggies on hand and I am lucky enough to have them share with me. The other day when I was visiting they had palettes of beautiful golden pears and I was fortunate enough to score some. Saweeet! I waited until the pears were perfectly ripe and then I created this delicious pear crisp for an office party. (My coworkers are so lucky to have me!) It was really a hit and super easy to make. 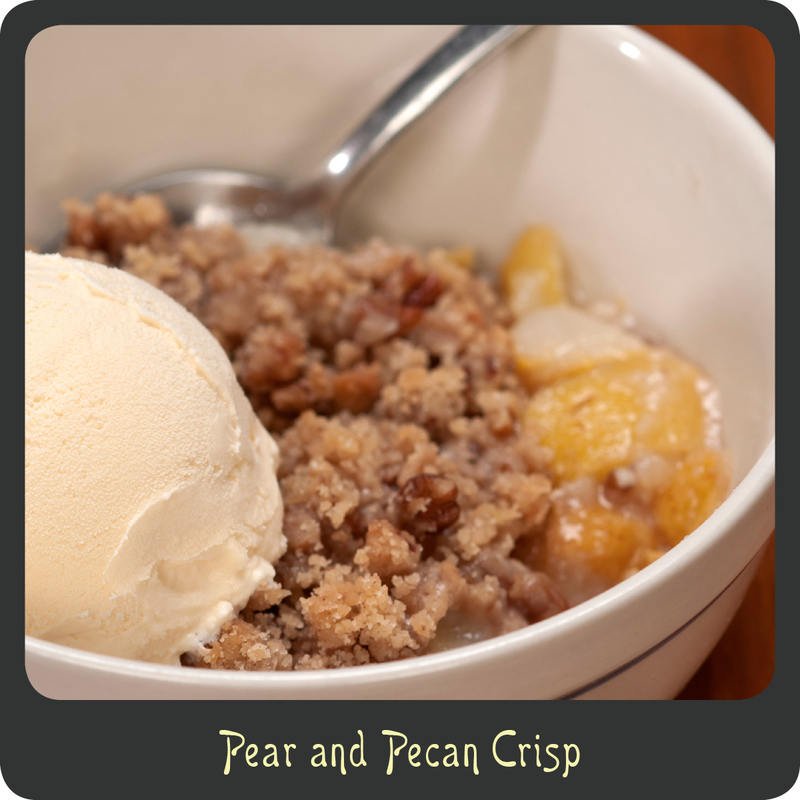 Most people expect apple crisp when they see something like this so the pears are a pleasant surprise. They really were so sweet and packed with juice. Rather than an oat topping like many of my crisps, I made this with a streusel topping. This is a perfect fall dessert. I think I may be serving it up come Thanksgiving! In a separate bowl stir together the following topping ingredients flour, sugar, brown sugar, cinnamon, and pecans. Drizzle the melted butter over the dry ingredients stirring while you go until it is evenly combined. The mix should be nice and crumbly. Pour the pears into a large greased baking dish (7″ x 11″ worked great for me) and top with streusel crumbs. Bake for 30–35 minutes or until the topping just begins to turn a golden brown.